Cartoons For licensing for reprinting in professional print and digital projects. 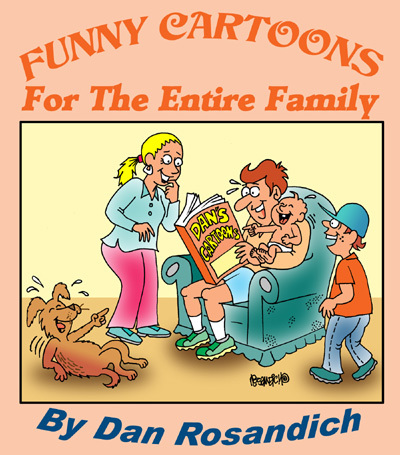 Offering access to over 60 separate cartoon catalogs providing cartoon humor that can be easily downloaded as soon as payment is made via credit card into a PayPal form. Cartoons you review throughout any of the different selections offered here, can be re-drawn or colorized at your request. If you see a cartoon that might have potential for a special poster project or book, poster or direct-mail piece, simply contact me using the email contact form and provide information and details concerning your questions.